Today marks 11 years since my father died. I think about him so often. While I'm working in the kitchen, entertaining guests, making jokes, listening to music, etc. He always creeps into my thoughts. 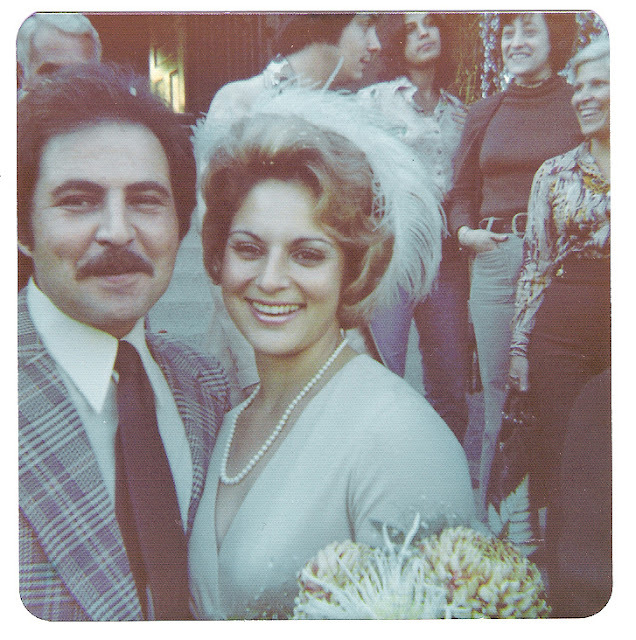 This photo of my mother and father was taken October 5, 1974, at my aunt's wedding. He was 33 years old. My sweet Daddy, I miss you and will always love you! 2006: My Daddy Is Gone2005: Sorry, no post on this day. The blog didn’t start until May 2005!